Having graduated in 1997 with a 2:1, Sarah worked as a tour guide throughout the summer before being offered the position of Tourism Officer at East Devon District Council. 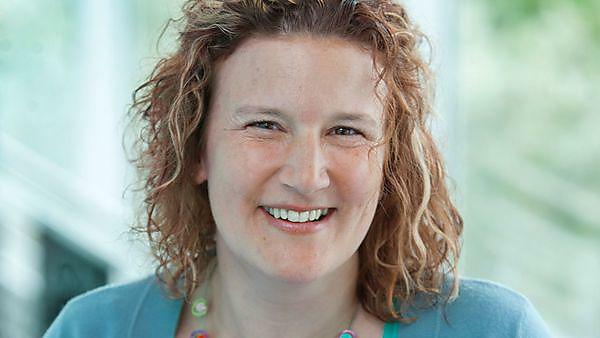 Sarah then spent 13 years working within social enterprise before joining the University of Plymouth to contribute her expertise in this field. Sarah tells us how her experience at the University of Plymouth influenced her successful career. "Having identified the course that I wanted to undertake I started to look around at different universities. The first one that I visited was the University of Plymouth and it gave me an instant feeling of belonging as the staff were extremely welcoming and encouraging. Also, the students were very friendly and the campus and its location were stunning. I settled eventually on the Tourism Management course because of the many opportunities I felt it would give me. The course content was well balanced, flexible and I believed that it would allow me to develop key skills that were very transferable whilst I decided how I wanted to develop my career. I had actually started studying Hospitality Management at University of Plymouth. During the second year Paul Brunt delivered a module on Tourism which fired my imagination. I arranged to transfer and was one of the first students signed up for the Tourism Management programme. The course was excellent and having transferred specifically to undertake it, I wasn’t disappointed. The course certainly opened my eyes and widened my expectations when it came to my career. I spent my third year on a mandatory placement. The first six months of my placement were in a busy seasonal tourism business where my duties included customer handling and marketing. The next six months were spent working for an alumnus who was running a lifestyle furniture retail business. It’s really important to take advantage of a placement as it’s your time to develop your CV, build on your learning and really develop your employability skills. After exams I went straight to spend the summer season working as a tour guide. During that time I was interviewed to become the first Tourism Officer at East Devon District Council. Since leaving the District Council I have enjoyed quite a varied career. I spent 13 years working with a business whose social values were all about helping young people succeed. I had another change of focus when I joined the staff of the University of Plymouth to get involved with the Inspiring Futures project and the social enterprise and employability focus of the Business School. My qualification has given me a really good grounding in business and transferable skills. You’ll get an excellent academic career here at University of Plymouth – it’s up to you to make the difference though and take advantage of every opportunity that is available to you – your employability skills are those that will really make you stand out. Volunteer, get work experience, undertake a placement, make the most of the workshops that are available, listen to guest speakers and get networking."